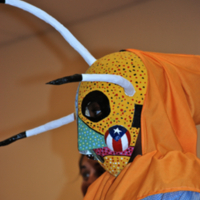 Handmade and hand-painted paper-mache vejigante mask. 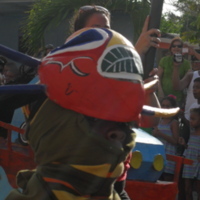 There are two main types of vejigante masks found in Puerto Rico, those made from coconuts, more common to the Loíza area and those made of paper-mache, more common to Ponce and Mayaguez. 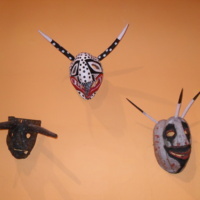 Three Vejigante masks. 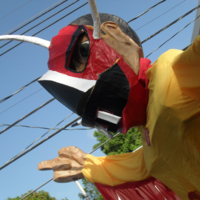 The vejigante is a devil like character who is very mischievous. 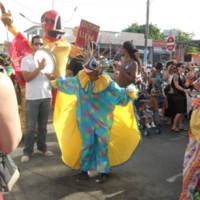 He is found in the Afro-Puerto Rican folklore of the island. 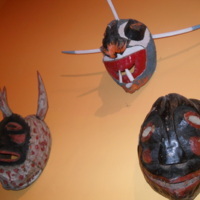 Vejigante masks. 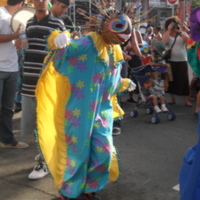 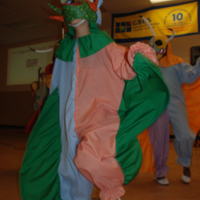 The vejigante is a devil like character who is very mischievous, he is found in the Afro-Puerto Rican folklore of the island. 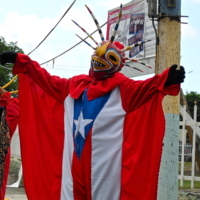 Vejigante dressed in traditional costume with Puerto Rican flag on the front. 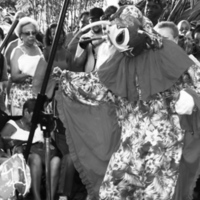 Black and white photo of vejigante dancing bomba at the Ayala family home on the day of Santiago apostol. 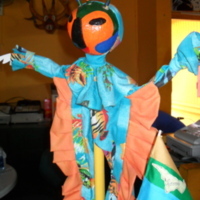 Vejigante doll made at C.O.P.I. 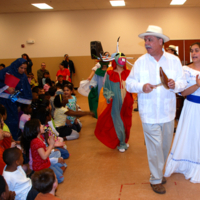 (Corporación Piñones se Integra) C.O.P.I. 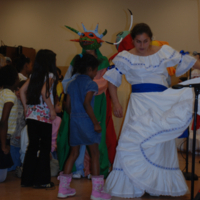 is a 501 c 3 non profit organization founded by sociologist Maricruz Rivera Clemente. 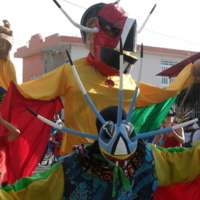 Oversize paper-mache vejigante puppet on the streets of Loíza Aldea during the processionals for las fiestas de Santiago Apostol. 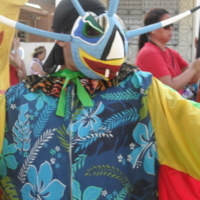 Artisan shop and exhibit center for the Ayala. 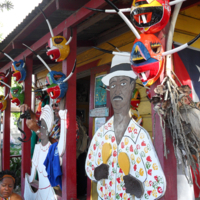 The shop is decorated inside and out with vejigante masks and costumes, handcrafted by the Ayala family. 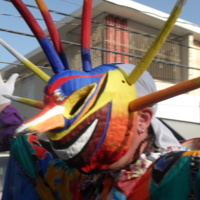 Vejigante masks and costumes, as well as other handcrafted items can be purchased here. 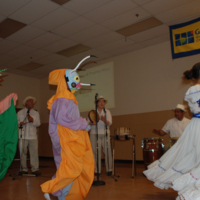 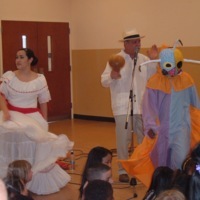 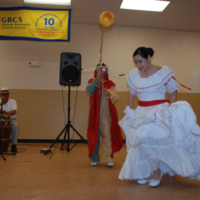 Gabriela Pérez dancing bomba with Los Vejigantes.